HMWIC utilizes advanced computerized scanning technologies to determine the optimum solution for people experiencing common foot problems. Bunions, hammertoes, fallen arches or just tired aching feet, our staff of skilled fitting professionals provide solutions with a broad range of footwear and the most innovative arch supports and custom orthotics on the market today. What is T.E.N.S? 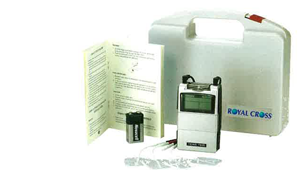 Transcutaneous Electrical Nerve Stimulation (T.E.N.S.) is a drug-free method of pain relief that is used to treat a wide variety of painful conditions. 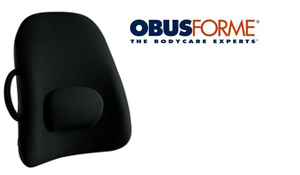 The Uniquly designed ObusForme Seat evenly distributes body weight and encourages proper alignment of the pelvis and thighs for extended sitting comfort. Cushions your tailbone, sitting bones, and thighs to help alleviate pressure points and assist circulation. Polyurethane foam absorbs compression and dissipates vibration created in moving vehicles. A Custom-fitted back brace is designed to stabilize and correct various areas of the spinal column. These are commonly used for individuals with compression fractures of the lower thoracic and upper lumbar spine. Custom-fitted back braces are used to alleviate pain, reduce the chance of further injury, prevent deformity and compensate for muscle weakness. Wearing a custom knee brace means maximum support is applied where you need it most. A brace that fits your exact measurements ensures maximum protection and comfort during movement. By wearing a brace that is custom fitted to your knee, you can walk or play your favourite sport with confidence knowing that you're less likely to re-injure your knee. Walkers with & without wheels: Great way for individuals with injuries or disabilities to get around. Better support than a rollator. 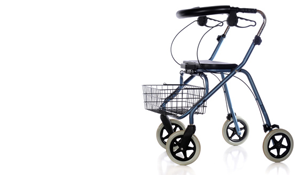 Rollators: Rolling Walkers make walking a smoother process however since they have wheels they require the user to be stable enough to not let the walker get away.